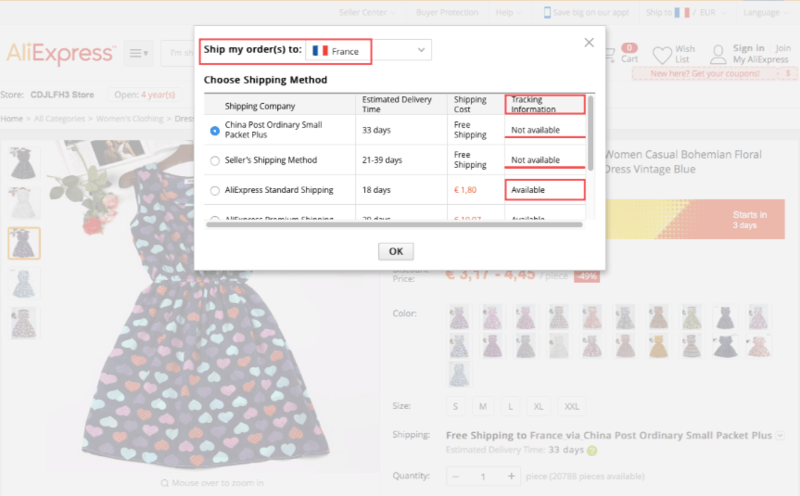 Do you want to experiment with dropshipping to Europe? Have you been putting these plans on hold because of the lack of knowledge? Then, this article is going to help you get your mind around this issue. Surely, the US market is a tempting piece of pie for any dropshipping entrepreneur. American economy is the largest in the world. Its GDP is over $20,5 trillion, and the country’s population exceeds 320 million people. So, it’s not surprising that a vast majority of eCommerce stores zero in on the USA. Thus, the competition to win the US customers may sometimes be really strong. Meanwhile, the European market turns out to be a bit overlooked. But why? The Europeian Union’s GDP exceeds $19 trillion and is the second largest in the world, and its population with over 500 million people is even bigger than the US one. Isn’t it a good idea to take a stab at dropshipping to Europe? Why not? For example, our client Chanong targets a global audience even though he’s from the Philippines – and if you look at his store stats, you’ll see that European customers buy quite a lot from him. However, many people need to know the ins and outs of dropshipping to Europe before getting the ball rolling. And it is reasonable. You should think your business plan through and then buckle down to work. As we’re always eager to help you, we would love to list the most essential things about European dropshipping for you! We’ve already said that there is some lack of sellers targeting Europe in comparison to the USA market. And this is relevant not only to online, but also to offline stores. Yet, it doesn’t mean that the demand for these products is also lower. Actually, it could be even higher due to the lack of suppliers. So, while most of entrepreneurs focus on the United States, you can reap the benefits of European market. Marketing is the most vital thing for making your dropshipping business successful. To create a breakthrough promotional campaign, you need to know the audience you target inside out. Your commercial should strike a chord with customers. That’s why it’s important to learn about customer interests, particular traits, traditions they follow, etc. All of these vary depending on the country people live as every region has its own predominant language, as well as specific history and traditions. Thus, it’s going to be hard to come up with one common marketing strategy for the whole European Union. What is relevant to one country could be totally wrong to the others. To be fruitful, your commercial should target one EU country at a time. How many people do speak English in France? What is their proportion with regards to the French-speaking population? According to an El Pais article, the most English-speaking country in the EU is Spain with 27,7% of people claiming they know it. Other countries show much more moderate results in their knowledge of English. The point is, to win more clients, you should literally speak their language. Your website and your commercials need to be in the mother tongue of your customers. Otherwise, dozens of clients will slip through your fingers. We’ve already written about the importance of choosing a good domain name for your dropshipping business. Apart from making it SEO-friendly, you need to pick a suitable top level domain. Simply speaking, it’s the ending of your domain – the part after the dot. As a rule, “.com” is a really good one. Yet, it may turn out to be either already taken or quite expensive. And – let me jog your memory – you need to use the local language. If your second level domain is in Lithuanian and your top level is “.com”, it looks a bit weird, doesn’t it? For a small business focusing on a European country, it’s way better to choose some region-specific top level domain. For instance, for France, you can take a “.fr” domain, for German – “.de”, and so on. It’s likely to be cheaper than “.com” and instill trust in local consumers. The thing you should strive to achieve is to make your customers feel at home while visiting your online store. So, your business process is supposed to strengthen this feeling. That’s why obstacles like currency exchange could spoil the whole thing. Besides, who wants to lose money on currency conversion? Make a point of accepting payments in local currency. Most EU countries use euro, which makes this not a big deal. As we’ve mentioned it before, dozens of dropshipping entrepreneurs choose the USA as the source of the customers. Thus, the US consumers often turn out to be flooded with all-the-same offers from different online shops. So, eventually, they simply start ignoring the endless flow of advertisements. Meanwhile, the EU market may lack offers in certain niches. What hardly works in the United States could easily do the job in Europe. You should always estimate the level of competition in the niche you’ve chosen for the country you want to target. This is how you may discover your goldmine. It’s time for good news. 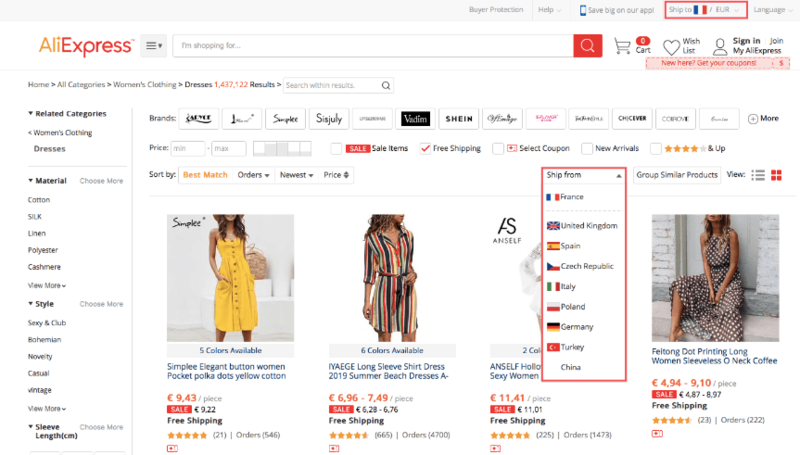 The most essential part of your dropshipping expenses, your advertisement, is cheaper in some European countries than it is in the US. PPC works like an auction. You set your budget, the sum of money you’re ready to pay per click, etc. Other online entrepreneurs do the same thing. So, there is a sort of competition. Those who offer more get their ads coming up on Google, Facebook, etc. until the budget has run out. The point is, if you target the USA with little to no experience in online paid ads, your money may evaporate really fast. Even if you have the necessary knowledge about PPC, you’ll need to manage your PPC campaign carefully. For the same old reason. Everyone wants the US customers. The more participants you have, the higher level of competition you have at the auction. Therefore, the cost of the commercial is going up. Since European market is a bit overlooked, in particular countries, you can pay less for PPC and save your money. The shorter your delivery time is, the wider are your clients’ smiles. Of course, if you’ve chosen a unique niche, people are ready to wait for the items even for 30 days. Yet, the quick delivery is going to make customers pour into your online store. 5-7 days and you’ve got it. Even the most impatient clients would be pleased. In one of our articles, we described the process of finding suppliers on AliExpress with warehouses in the USA to win more customers. Well, you can apply this to searching for the distributors who stock their goods in Europe. Since the EU has no physical borders between its member countries, it’s not necessary to search for a supplier with warehouses in France if you target this country. You can look for Spain, Germany, or any other EU member – the delivery will anyway be prompt enough. Unfortunately, not all of the AliExpress sellers have warehouses in Europe. But, you can easily find a supplier who offers you cheap shipping options. It could be an affordable ePacket, a free shipping option, or other alternatives. Of course, it’s better to choose the one with the shortest delivery time. However, you shouldn’t forget about the tracking code. Most customers tend to be interested in the location of the package while it’s being shipped. Some of them could be really irritable if they don’t get the necessary information. To calm them down and avoid difficulties, you need to provide your clients with the evidence of your honesty. The tracking code is the exact thing that can pull it off. It shows that you keep your end of the bargain – that the products are on their way to the clients. 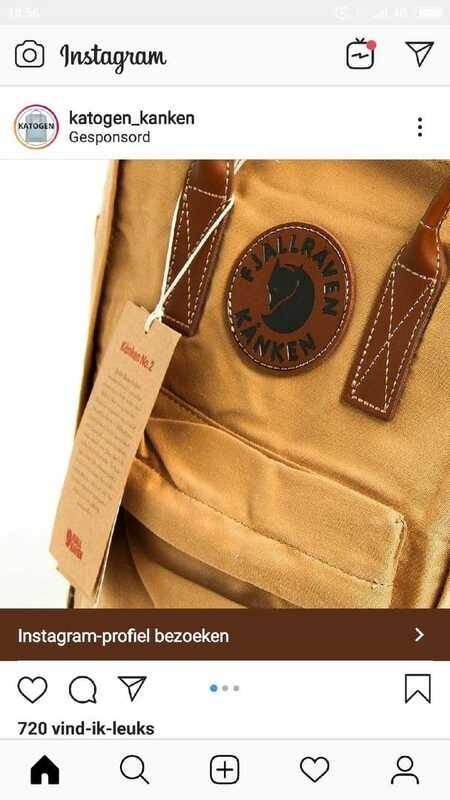 So, choose the suppliers who have cheap shipping options with the tracking code. What if you didn’t speak your target country language fluently? What would you do if your clients had some questions? That’s not an option! Customer service is the thing that forms your reputation. And your reputation is vital. One unsatisfied customer can’t cause a lot of damage to your venture, you may say. Yeah, maybe. But, what about ten or twenty furious clients? You won’t be able to sweep it under the rug. Without a doubt, customers are going to have some questions quite frequently. You can’t brush them off every time. If you don’t know the language – hire someone who knows. Platforms such as Upwork, Fiverr, etc. 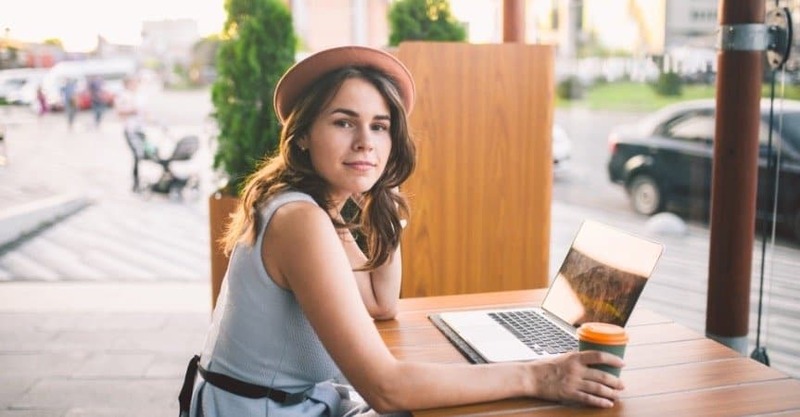 allow you to find a freelancer for a reasonable sum of money. They will take care of your clients. Your promotional campaign matters much. It’s going to raise awareness about your online store and attract customers. But, what is going to make people buy from you is social proof. A healthy amount of positive customer reviews about your products can actually make a difference. People tend to trust each other, not the advertisement. Thus, your dropshipping store needs the positive customer feedback. How can you get it if you’ve just opened your store? You can add the reviews right from AliExpress along with the products you import to your website. 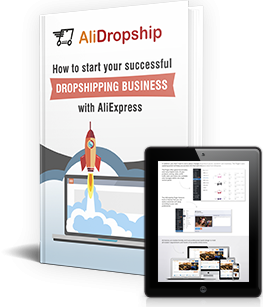 With AliDropship Google Chrome Extension, it’s a piece of cake. However, if your target country is, for example, the Netherlands, you need the feedback in Dutch. What if there are no reviews in Dutch? You must have guessed. You shouldn’t dig deep searching for the customer comments in a necessary language. You just need to translate them into Dutch, French, or whatever language your audience speaks. 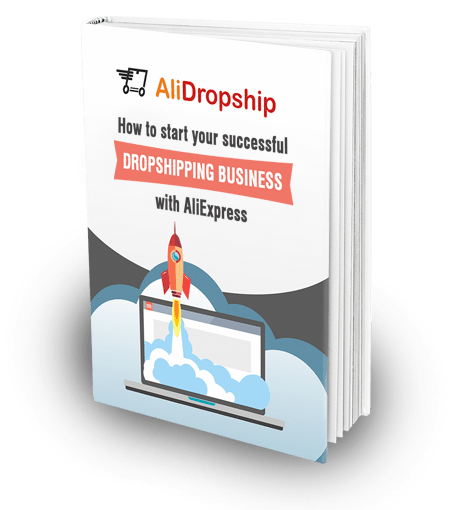 Dropshipping has great potential, and it’s time for you to start exploring it. Now, when you know more about dropshipping to Europe, you can widen your horizons by giving it a try. If you have any questions left, feel free to leave them in the comments section below! Thanks a lot for your comment! I really appreciate it.